Here's a 1970s Japanese-made guitar bearing the CMI brand (I believe I once read that there were two separate brands known as CMI on guitars of this era, something which causes much confusion amongst guitar aficionados even today). 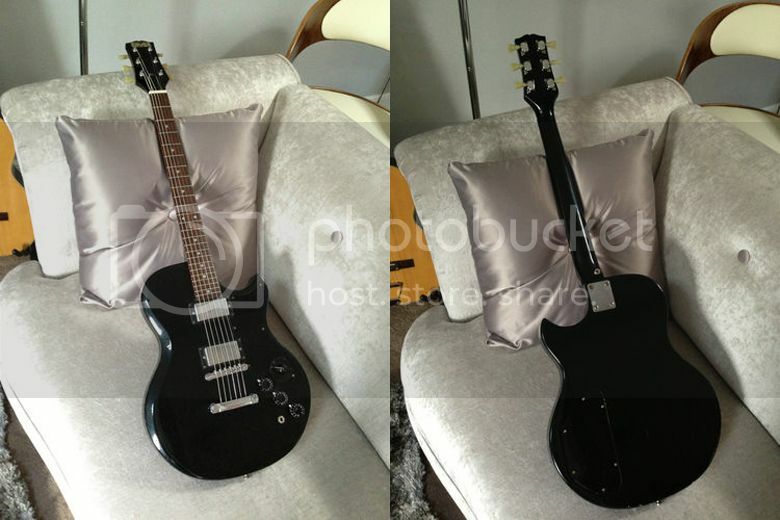 The seller refers to it as an "LP style guitar", but rather than being a Les Paul copy it's actually quite a faithful replica of a Gibson L6S. The original, first introduced in 1973, was Gibson's then budget model guitar and was conceived by the collaboration of Gibson and Bill Lawrence as a the working man's answer to the Gibson L5S jazz guitar. The guitar was known for its versatility and featured a 6-way rotary pickup selector allowing the pickups to be switched in series, in parallel and out of phase. Notable players include Al Di Meola, Carlos Santana, Pat Martino, John McLaughlin, Keith Richards and Mike Oldfield. Most examples featured a set neck, although the Midnight Special series did have a bolt-on neck, as does this Japanese CMI copy (it's not an exact copy, you'll notice, as the Midnight Special also had through-body stringing). 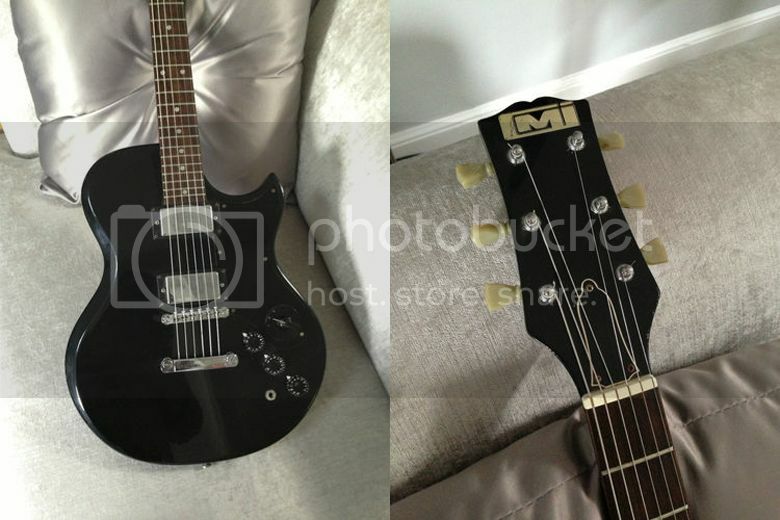 This CMI L5S also, sadly, only seems to have the three-way pickup selector switch. Currently listed on eBay UK with a very reasonable sounding Buy It Now price of £125. CMI (Cleartone Musical Instruments) in the UK was Jim Marshall's brand for guitars in the lawsuit era. CMI (Chicago Musical Instruments) was in the US (obviously). I have a Cleartone ES-175 copy from about 1977 and it's very nice, plays well, and is a very faithful repro. Just bought this one, could not resist it in such good condition, will aim to get a 6 way switch and all other related components to get the full benefit of the design, it will be interesting to see if the pickups are any good? Excellent. Let us know how you get on with it! I recently fixed the electronics of the same model for a friend of mine.The guitar is ok; good neck, well made body etc... but the pickups! terrible good looking but in fact really cheap single coils with no shielding that's to say a lot of noise for very tiny sound. I hope yours will not be the same but anyway, as the basis is good, don't hesitate to upgrade it with better pickups, you'll get a very good guitar. Don't know where my comment about this one ended (Are you sleeping Brother Gavin, all the bells are ringing...)In case it's lost here's my opinion: I recently fixed the electronics of exactly the same model; the guitar is ok great neck well made body etc... but the pickups are terrible in fact single coils very noisy not shielded etc...) So it's a bargain if you change the pickups!Playing it feels like playing an old Shergold. At this kind of price just go for it! The guitar is now in my hands more pics available below. It was a in average condition when it arrived lots of touched up dings on the body. Pickups not good but neck nice. After a little work it is a great sounding guitar please check out the link below. The Midnight Special also has 3-way selector (the more familiar lever-type like Les Pauls have), so this particular model is functionally more close to that version (except the original Schaller "harmonica" bridge and the string-through construction).